Perhaps there is no more iconic image of the Aloha State of Hawaii than Waikiki Beach. One would have to believe that this area is what most people envision in their minds when they think about making plans for Hawaii vacations. And Hollywood films have reinforced this image throughout time as well as in the case in commercials and many TV shows. Such TV series have included Hawaii 5-0, the old and current one, as well as Magnum P. I. The area surrounding Waikiki Beach is the heart of Hawaii’s tourism industry. Most of Hawaii’s hotels are located in Waikiki. This is where the lion’s share of tourists in Hawaii spend their time. 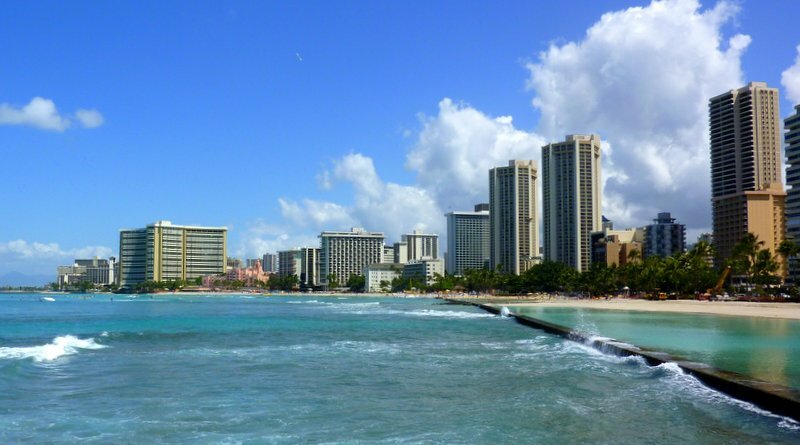 There is a wide range of major hotel chain properties represented in Waikiki. These are chains like the Starwood, Marriott, Hilton, Hyatt, Holiday Inn, Best Western, But, there are many properties from local chains too, like the Outrigger, Aston and Aqua hotels. What’s so nice about staying in Waikiki is that Waikiki Beach is just a short walk away from most all of the hotels. So it’s very convenient for hotel guests to get to and from the beach. This is one of the main reasons why they come to Hawaii. Plus, the ocean water, sand and beach area are very clean and secure. So it’s really a great place to just hang out in the sun, soak up the sun as well as cool off in the ocean. And of course, Panda Travel ® is the company that can take you here with a wide range of Hawaii vacation packages that meets your budget and lifestyle. Check out out the rest of our website for more information and details. Aloha!